Come listen to some poetry reading! 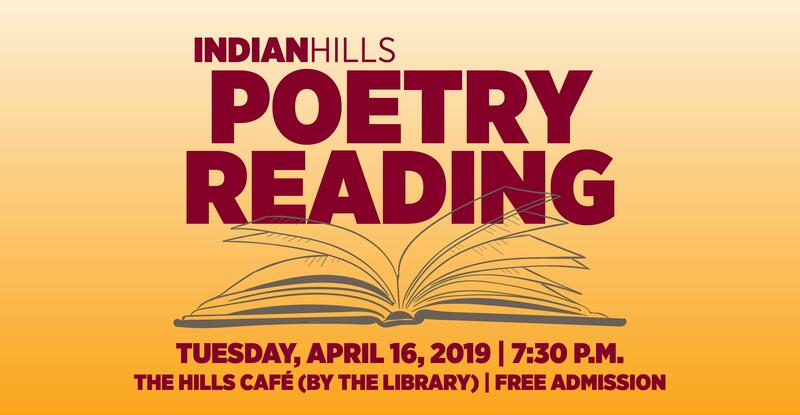 Tuesday, April 16 at 7:30 in The Hills Cafe. Of course, this is free admission. Come relax. 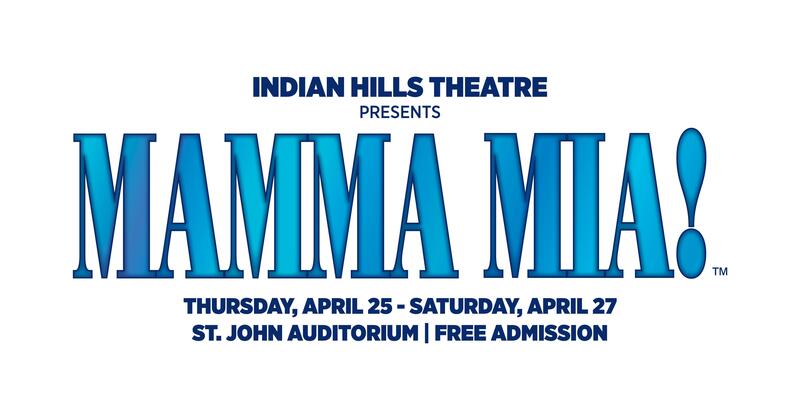 Our very own Indian Hills Theatre presents Mamma Mia! This will be a 3 night showing in the St. John Auditorium! Free Admission!! 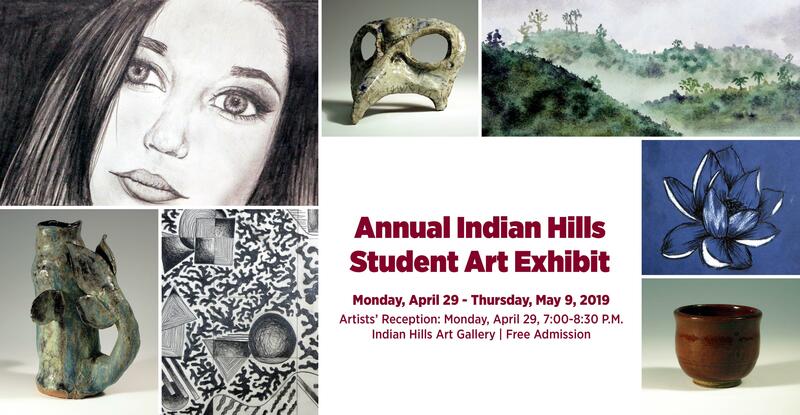 Annual exhibition showcasing art works produced by students in Indian Hills visual arts courses during 2018-2019 academic year. Are you the next big virtuoso? Tap into your artistic side for a Life.Changing. experience and find out! Does music make you dance? Does poetry make you dream? There’s a time to study, and there’s a time to explore. Your college experience should include both. Let the arts be your connection to the world. The arts have always been an avenue of self-expression and appreciation of beauty, in its many forms. Whether you study within the arts or appreciate the artistic talents of others, music, literature, visual arts and theater can take you places without ever leaving the room. Love the classics? Put your passion to work! Let’s make some music! Tune up and join in with our Music Dpt! Lights! Camera! Action! Which role will you star in? Your next masterpiece could be featured in the IHCC Art Gallery! Browse through photos of various Arts events! Traveling is more fun when you can get college credit for it! Looking for scholarships? Click here!